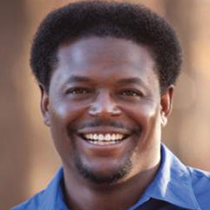 Pastor Derwin Gray wants you to imagine how treasuring Him can create a Jesus-glorifying, life-transforming reality. If all 6.5 million refugees in Africa, Asia, and the Middle East had their food, clothing, and shelter needs met. If 5,000,000 grass roots, micro-enterprise economic development projects per year could be started in the poor countries worldwide. If malaria was preventable worldwide. If 150,000 new indigenous missionaries and pastors could be raised up in the nations most closed to foreign religious workers. If we could sponsor 20,000,000 needy children worldwide, providing them with food, education, and health care. If we could triple the resources being spent on Bible-translation, -printing, and -distribution to provide Bibles in the native languages of the 2,737 people groups currently without Bible translations. Marinate for a moment on what I’ve written. If just these things could be done, can you imagine the love and hope that would be unleashed on planet Earth? It would be glorious! It’s very possible. How? If you and I, the Church, become financially generous. Think about this: If every committed Christ-follower gives 10% of our after-tax income, an extra $46 billion per year would be freed up to be used to unleash mercy (Christian Smith and William Kenan Jr., Passing the Plate). And that $46 billion could make what I’ve written a Jesus-glorifying, life-transforming reality. When Jesus has our heart, we treasure Him (Matthew 6:21). And when we treasure Him, we use our earthly treasure so others can treasure Him, too. Beloved of Jesus, let’s show our world that mercy is alive.